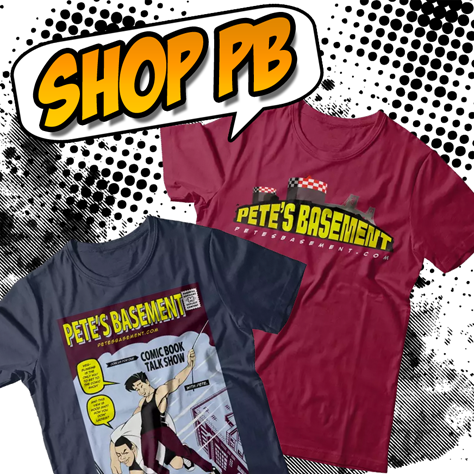 Pete's Basement Season 10, Episode 37 - 10.18.17 - NYCC SPECIAL! It's the New York Comic Con wrap-up show! The boys feets are tired! It was a successful NYCC, and Buzz, Cheese, Ramon, and Pete are here to talk about it! Favorite cosplays, signings, sketches, and spending way too much money! That's what Comic Con is all about! The boys also hit on the new Star Wars: The Last Jedi trailer, as well as one particular book you don't want to have missed over the last few weeks. Questions and comments from our loyal fans and bombs from The Shadow! Sit back, relax, grab a drink -- it's a Friday show so, you know Pete had plenty! Hit the play button.